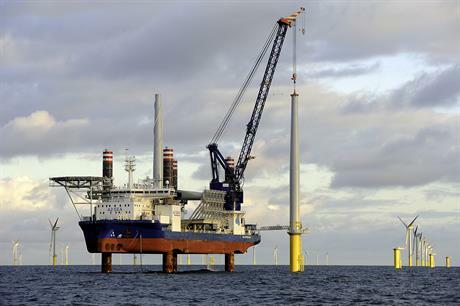 WORLDWIDE: Recent project updates from several UK projects, the Nordergrunde and Arkona sites in Germany and the troubled Cape Wind development in the US. UXO begins: N-Sea has begun pre-construction unexploded ordnance (UXO) clearance works for Galloper, in the North Sea off Suffolk. Vessel assignment: With offshore construction under way at Dudgeon, MPI Workboats' crew transfer vessel MPI Napoleon has started work at the 402MW North Sea project. Permit appeal: Cape Wind has appealed the denial of a two-year extension of permits for two subsea and underground cables for its 468MW project. On 6 April, the Massachusetts Energy Facilities Siting Board declined the permit extensions, as it considered the project to be years away from proceeding. Cable deal: Nexans has been contracted to supply Arkona's inter-array cables. The order includes 28 kilometres of cables with an 800 square-milimetre cross-section and 48 kilometers of three-phase cables with a 300 square-milimetre cross-section. They will be manufactured at Nexans' plant in Hanover, Germany, with delivery scheduled for the beginning of 2018. Consultation under way: Dong Energy is starting consultation on Hornsea Project Three. The up to 2.4GW project would be the world's largest offshore wind farm. It is planned for a site in the North Sea, 120 kilometres off England's east coast. First foundation: The first of Nordergrunde's 18 monopile foundations has been installed from the MPI Enterprise vessel, at the project site in the Weser estuary. Vessel charter: From spring 2019, A2sea's Sea Installer vessel will be deployed at Dong Energy's Hornsea Project One.